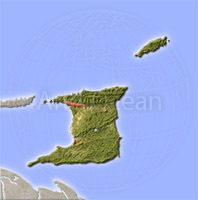 Trinidad and Tobago, shaded relief map. 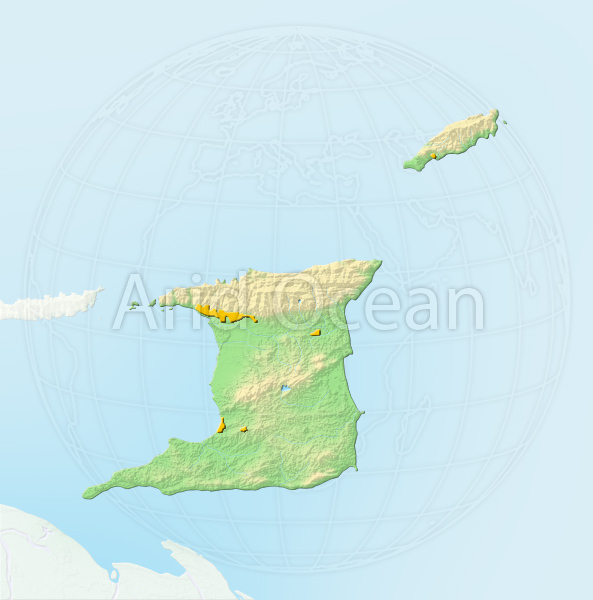 Trinidad and Tobago, shaded relief map. Colored according to terrain height, with major urban areas. 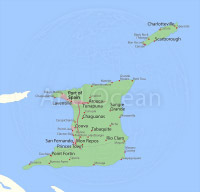 See the Description of PEARL layer structure for details.